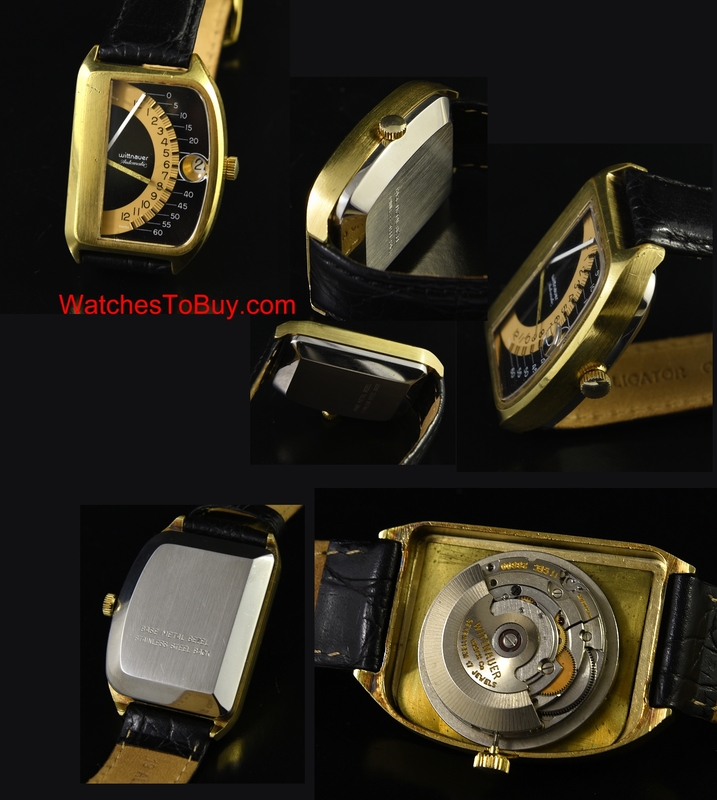 These circa 1975 WITTNAUER SECTOR FUTURAMA 1000 watches are a very cool and collectable watches. The massive gold plated case with stainless steel back measures 32.5 across x 46mm. and looks quite good. 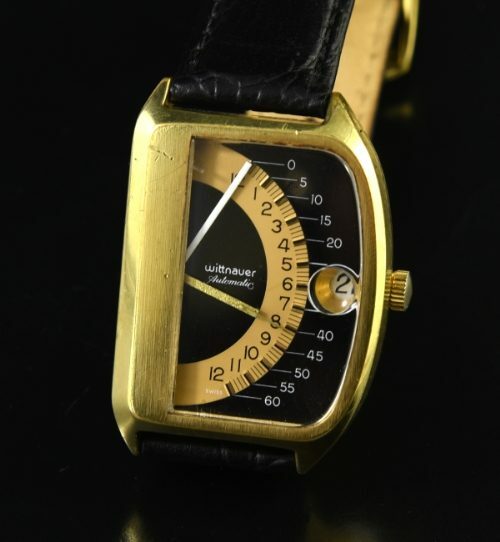 The retrograde, black and gold two-tone dial is very clean and all original, including the baton hands. The original bubble-date crystal is also present. The automatic winding WITTNAUER movement was just cleaned and is accurate. This FUTURAMA is a fabulous looking watch all around.